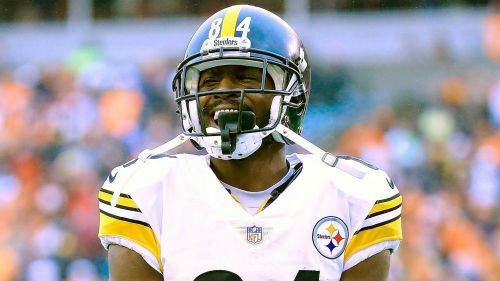 Wide receiver Antonio Brown met with Pittsburgh Steelers owner Art Rooney II on Tuesday and said the two agreed "it is time to move on". Brown, 30, has made no secret of his desire to be traded away from the six-time Super Bowl champions this offseason, dropping several hints of his wish to play elsewhere on social media. He sat out the team's final regular season game against the Cincinnati Bengals last year, reportedly due to a disagreement with quarterback Ben Roethlisberger, and Rooney released a statement earlier this month saying it was "hard to envision" Brown being with Pittsburgh at training camp in July. Brown then bade Steelers fans farewell in an Instagram post earlier this month and he spoke about his situation with Rooney on Tuesday. "Had a great meeting with Mr Rooney today, we discussed a lot of things and we cleared the air on several issues," Brown wrote on Twitter. "We both agreed that it is time to move on but I'll always have appreciation and gratitude towards the Rooney family and Steelers organisation!" Brown, who had a career-best 15 touchdown receptions in 2018 and amassed 1,297 receiving yards, signed a four-year $68million contact extension in February 2017. In an Instagram post on Monday, Brown told teams interested in his services he only wanted guaranteed money in any contract he signed.